3. Powder shape is ultrafine spherical, good liquidity, high packing density. 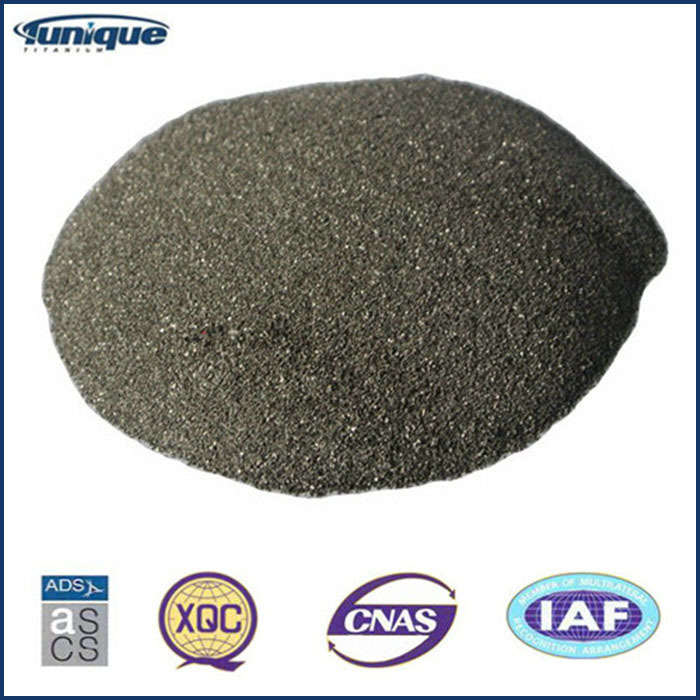 We are one of the largest manufacturers of Titanium Powder in China. With more than 20years experience,we could produce 20-325mesh titanium metal powder. Titanium powder is inflammable at high temperature. So it is classified as the danger goods. UN No. is 2546. Dangerous class is 4.2. It could be used as the additive in all kinds of metallic material, such as ferro-titanium and titanium-aluminum alloy;also can be used as luminescent powder, such as candle bomb, fire bomb and fireworks.etc. We could provide test report from Xi'an Aero-Engine (Group) Ltd Material Testing Lab which is the most authoritative testing institution of titanium powder. Size: -20mesh,-40mesh,-60mesh,-80 mesh, -100mes,-150mesh,-200mesh ,-250mesh ,-325mesh;or as customer's requirement. 4. Strickly quality control system and advanced testing equipments. 5. Professional sales team and good aftersale service. Looking for ideal Titanium Metal Powder Manufacturer & supplier ? We have a wide selection at great prices to help you get creative. All the High Quality Titanium Metal Powder are quality guaranteed. We are China Origin Factory of Hot Sell Of Titanium Metal Powder. If you have any question, please feel free to contact us.